The population of Leander is 55,910. The city has seen a 16.5% population increase in the past two years. Leander is the fastest growing city in the country. Fortunately, the city’s leadership has anticipated the growth and has resources in place to eventually provide services for as many as 250,000 people. Growth in Leander is driven by a low cost of living—4.7% lower than average—an award-winning school system, participation in the Cap Metro system, providing commuter rail to citizens into downtown Austin, and access to US-183A, one of the lesser congested routes into the heart of Austin. The city also benefits from easy access westward to the Texas Hill Country and the less crowded western side of the Lake District. Retail sales 2015 $271 mil. $9,675 mil. $33,591 mil. For a complete look at the community demographics, we recommend this Leander ISD Report. Quality of life is very good in Leander and one of the many reasons people relocate here. Access to the Hill Country and proximity to Austin creates many opportunities for artistic, entertainment, and recreational pursuits. The Leander Independent School District, the tenth fastest growing district in the U.S., has an excellent academic reputation. The University of Texas and Austin Community College are the two largest (out of seven) institutions of higher education in the region. Located 22 miles northwest of Austin, Leander is a thriving community. Residents enjoy a rural feel while remaining close to Cedar Park and Austin. If you are looking for a dry climate and mild winters, Leander is the place for you. Rain often comes in the form of thundershowers, peaking in late spring and early summer. Winds tend to pick up during the stormy season. The average temperature is 41-62 degrees in winter and 75-97 degrees in the summer. The average rainfall is 2-4 inches per month. Leander has 20 churches, a library, numerous parks, a city pool, golf course, and senior citizen center. Leander ISD, a TEA-recognized district, is a place where care and concern for every student, parent and partnership is at the heart of everything we do. Our guiding documents – The Learning Model, 10 Ethical Principles, The Graduate Profile – are the foundation of who we are and ensure that we maintain a great learning environment for all students. LISD is one of the fastest growing school districts in the state, educating nearly 40,000 students at 42 campuses. The district encompasses nearly 200 square miles. The median home value in Leander is $222,100. Leander home values have gone up 6.2% over the past year and Zillow predicts they will rise 1.9% within the next year. The median list price per square foot in Leander is $134, which is lower than the Austin Metro average of $150. Incorporated in 1882, the City of Leander utilizes the council-manager form of government. 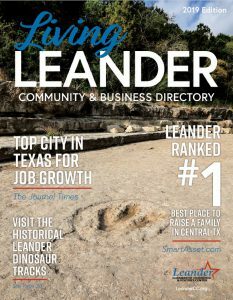 With full fire, police, parks, and community services, the city of Leander is thriving. The Crystal Falls Golf Course is one of the finest courses in the area. A fully irrigated 18-hole layout provides a unique challenge to all golfers. Our greens are consistently noted as the finest in the area. 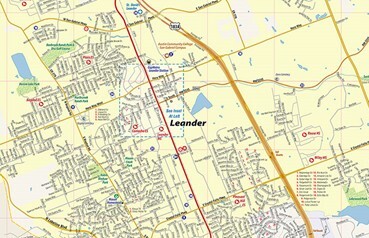 Leander is unique in that it is split by both Travis and Williamson counties. Leander is also served by a growing number of medical centers including St. David’s Leander, Cedar Park Regional Hospital, St. David’s Round Rock, Georgetown Medical Centers, North Austin Medical Center, and Baylor Scott & White.